What can Morihei Ueshiba teach us about researching Chinese martial culture? I have a long standing interest in the biographies of martial artists and am constantly amazed to see the different ways in which these practices are manifest in an individual’s life. It is also the case that their stories are rarely dull, especially when reading about Chinese or Japanese masters of the early 20th century. This was a dynamic time for the martial arts in both countries, with new styles being created and “discovered” at a brisk pace. Unfortunately these were also politically eventful times. All of Asia seems to have spent the first half of the 20th century in one sort of upheaval or another. These military, political and social trends provided the backdrop, and even much of the drama, that shaped the lives of many of the best known hand combat masters. Recently I read a biography of Morihei Ueshiba, written by his son Kisshomaru Ueshiba, titled A Life in Aikido (Kodansha International, 2008 English language edition). This work has been incredibly interesting and it has inspired me to go out and do some additional reading on the history of Aikido and its enigmatic founder. I don’t know why I didn’t tackle this project sooner. Actually I do know. The problem was Aikido. Not that there is anything wrong with Aikido, but it is an immense subject with its own specialized vocabulary, training philosophy and spiritual concepts. Even learning about the history of the art (let alone its execution) seemed like a major undertaking. And to be totally honest, it is somewhat peripheral to my main research interests. Mostly I study Chinese martial culture and when I do look at Japan I tend to focus on specific subjects. Recently I have been doing a little reading about their medieval warrior monk tradition and thinking about how it compares to monastic violence in China at the same time. I hope to be able to write something up on that soon. So for one reason or another I just never got around to taking a serious look at Ueshiba, even though he is one of the seminal martial artists of the 20th century. It cannot be easy for a son to write about his father in the way that Kisshomaru tries, and I found myself coming back to the question of research and authorship many times throughout the course of this book. I really liked a number of the things that he did and it started to give me some ideas about how we can improve the quality of our historical writing in the field of Chinese martial studies. One of the things that is most interesting about Aikido is that it was invented rather recently in a highly literate society where the martial arts were held in high esteem. What that means from my perspective as a scholar is that great records were kept, providing a huge treasure trove of data about the details of the system’s creation and it’s day to day functioning. This sort of data is rarely preserved for the types of Chinese fighting systems that I spend most of my time with. I actually found myself jealous of the abundance of sources that the author had at his disposal. Ueshiba really illustrates the problem with this line of reasoning. Modern Aikido doesn’t have much in common with Daito Ryu (the only art that its founder studied in depth and actually mastered prior to revealing his own creation), yet it is very sophisticated. Well-functioning martial arts do not have to evolve slowly over the centuries. Further, long lines of historical transmission might actually destroy as much as they preserve. 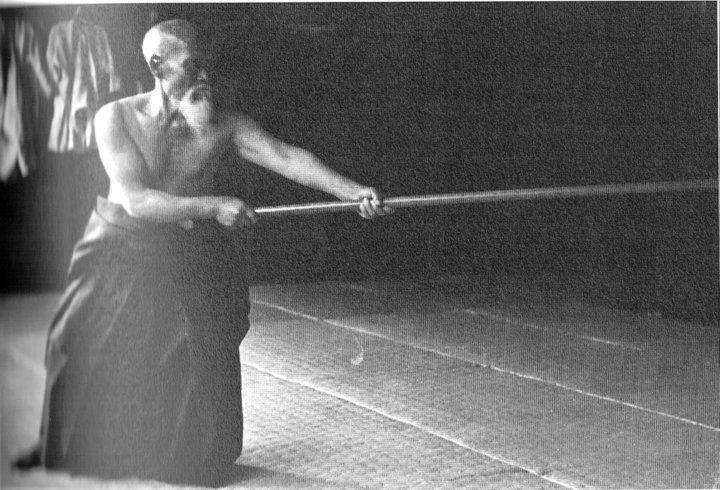 Throughout his life Ueshiba seems to have had a fascination with the yari, or Japanese spear. His son claims that spear and long pole fighting had a substantive impact on the development of Aikido, even though those weapons are rarely used today. Ueshiba proves that an individual working in relative isolation can certainly create a distinctive and successful art. So, in terms of the sorts of disputes we have in the Wing Chun world, yeah, it actually is totally possible that Leung Jan just created the system himself. I don’t have any evidence that he did, but these are questions that we need to consider. It is probably not a good idea to just start out assuming that everything is 500 or 1000 years old just because it hangs together in an elegant way. 2. Understand the Importance of Social Factors. I just called Ueshiba a “lone genius,” and in some ways he is. But I am not sure it makes much sense to approach him that way when we attempt to understand the origins and the social meaning of his art. Kisshomaru goes out of his way to demonstrate that even though the creation of Aikido was an “original creative act,” his father would have never done it had he not been embedded in a very specific social setting. To accomplish what he did he needed the unwavering support of his wife, the unquestioned love (and immense financial resources) of his father, a society that for social and political reasons valued martial attainment, and a new religious movement willing to experiment with hard physical training as a way of achieving some type of spiritual enlightenment. Japanese imperialism in China and the war in the Pacific between her and the United States and the UK also had a critical impact on how Aikido developed. So now we have a quandary. 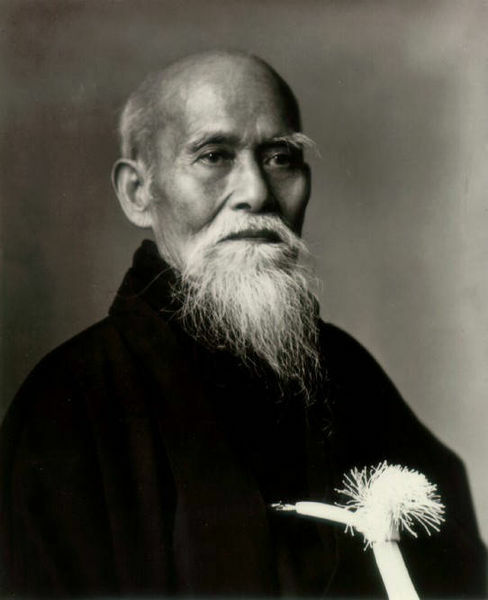 On the one hand Ueshiba had certain personal traits that allowed him to create not just a sophisticated martial art, but a functioning community dedicated to carrying on this physical practice, even in a very socially disrupted time and place. How do we best explain the success of Akido and the social meaning that it conveys to practitioners today? Is it Ueshiba’s unique quirky genius or is it the cultural environment that created him? Should we as scholars invest our time and resources in the personal variables or the social ones? It seems all too easy to just say “well everything matters.” The kitchen sink approach to theorizing can even be made to sound sophisticated and intellectually mature. Yet there are fundamental shortcomings to the “everything matters” line. Books, as I was recently informed by a publisher, have word limits. Yup, you go over 110,000 words and no one will publish your book. So, no matter how theoretically catholic you want to be, at the end of the day you must make a decision as to what sorts of variables you will focus on and explore with your reader. Ideally that means focusing on those variables that are the most important for generating understanding. Even the most “objective” researchers cannot escape the necessity of judgmental decisions. This is why we get paid the big bucks. 3. Use the Levels of Analysis. I propose that when we sit down to write about martial culture we need to be mindful of three different perspectives that we can approach any given story from. Scholars working in the field of international relations have found a slightly different version of these options to be very helpful in the past. For a much more detailed discussion see: Kenneth Walt. Man the Sate and War. Columbia University Press. 2001 Revised edition. Having these options means that we can actually ask ourselves which has the most explanatory power and where our research focus should be. Some researchers may find that in their analysis a given level is always superior. Other students might instead approach this exercise as a sort of tool kit that allows them to pull out the proper level of theoretical focus to explore a given puzzle. Both of these approaches to the “levels of analysis” seem fine to me. The first of these is the “individual level.” Here we may wish to focus on the personality, upbringing and unique characteristics of our subject to explain their actions. Most of us are very familiar with this mode of thinking. We do it all the times. It is the standard approach employed by journalists and the writers of “great man” biographies that seem to perpetually dominate a certain section of the NY Times best seller list. The field of psychology also tends to present an “individual level” approach. Ueshiba was a profoundly spiritual individual. He was deeply influenced by both the Omoto religion and multiple schools of Japanese Tantric Buddhism. Despite its popularity there are weaknesses to this approach. In fact, none of the levels are without fault. Let’s say that what I am interested in is the construction of voluntary associations within civil society. I notice that Ip Man in Hong Kong in the 1950s managed to popularize his form of boxing and built a substantial community around it. Likewise from the 1920s-1940s Ueshiba’s Aikido enjoyed a sort of golden-age and he also managed to build a successful community around his martial vision. However, it would be hard to imagine two individuals who were more different than Ip Man and Morihei Ueshiba. Whatever factors accounted for their success in community building, it probably wasn’t their individual personalities. So this then leads us to the next level of analysis, the “local community.” What is going on in terms of culture, economics, politics or identity? 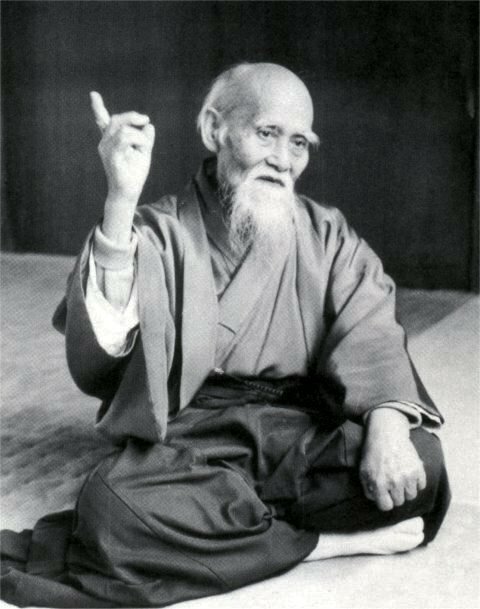 Ueshiba only began to teach martial arts after he moved from one community to a new one (in this case a religious community) and was encouraged to do so by its leader. Likewise Ip Man was never all that enthusiastic about teaching Wing Chun in his home community of Foshan. It was only after being forced to move to the much more metropolitan Hong Kong that he really applied himself to the task. Systemic Technology, Trade, Weather Economic, Political Science, Formal Behavioral Modeling. I have always believed that this “local community” level has a lot to offer, especially as it is often ignored. In fact I would go so far as to say that most of the time the history of the martial arts is local history. The sorts of tools and approaches that are used in local history are often very successful here. The ethnographic or anthropological approach also fits into this “local level” analysis. After all, culture and patterns of social meaning are fundamentally held and passed on by communities. Still, local communities are often the most interesting when they are responding to exogenous trends. Time and again we see that communities differ in their resources and strategies when it comes to problem solving. Yet the large scale trends causing these problems in the first place must come from somewhere? This leads to the “systemic level of analysis.” The systemic level brackets the role of individual actors or local communities and instead focuses on the sorts of variables that order relationships between these units. For instance, technology is a quintessentially systemic variable. As the technology to cast bronze improved in ancient China it became possible to mass produce crossbow locks. This led to the widespread adoption of the crossbows in Chinese warfare. That in turn had an important impact on ancient Chinese martial culture. Later, during the Han dynasty, iron production technology spread throughout Asia. Suddenly everyone was trading in their short bronze swords for long forged steel ones. This also had a huge impact on the martial culture of the time. Interestingly enough, this was not just happening in China. At exactly the same the time the Romans and Celts were squaring off with their new and improved steel swords. That’s the thing about technology. A good idea leaks like water. Suddenly it seems to be everywhere, all at once. You can only deal with something like this as a system level shock. Iron swords from the Sui Dynasty, circa 600 CE. These blades were found near the ancient capital of Luoyang, not far from the Shaolin Temple. Other sorts of factors can also create systemic variables. As population density increased in Europe, China and Japan warfare moved away from being the domain of highly trained specialists to large formations of less professional individuals wielding spears and pikes. This sea-change in martial culture, much noted and discussed in the specialized literature of all three areas, could only happen because demographic trends switched. That probably had a lot to do with the weather and increasing crop yields. Trade and economic factors can also create systemic effects. For instance both imperialism and globalization emerge as a result of fundamentally economic processes and they have had an immense influence on the development of Chinese martial culture from the mid. 19th century onward. Fields like economics and sociology tend to focus on systemic theories. So, when we sit down to write our history we need to think carefully about which of these levels of analysis will contribute the most to our narrative. Ueshiba and Ip Man were both examples of “lone geniuses” but they never could have accomplished what they did by themselves. Trends at both the systemic and local level must be explored when telling their story. 4. Listen to at a variety of voices, including those that have been excluded or come from outside the martial arts community. One of the biggest problems that I see with most amateur writing on the Chinese martial arts is that it restricts the scope of its research to such a great degree that it paints a highly distorted image of the past. The vital truth that needs to be remembered is that most people in Asia did not study the martial arts. In China today most people probably don’t even like the idea of serious Kung Fu study. These were always a minority activity, especially once they came to be practiced recreationally. Further, most of the individuals that our martial arts masters actually interacted with were not found inside a kwoon or dojo. When we focus only on a single aspect of a martial artist’s life we paint a very incomplete picture. This is especially problematic because quite often the central problems that drove a martial artist’s career originate outside of the realm of hand combat training. To his great credit Kisshomaru Ueshiba never forgot this essential truth. As a result he went and interviewed all sorts of people who knew his father in a non-martial context, and he looked at all sorts of records. This turned out to be very fruitful and it yielded many insights that helped to explain the life and career of Morihei Ueshiba. Even more importantly it painted a wonderful and rich picture of exactly how a martial arts master was expected to contribute to a Japanese community in the 1920s and 1930s. I personally found some of these conclusions to be surprising. Throughout this work we see that the martial arts were important to local communities, and not just to the creation of 20th century nationalist philosophy (the myth of the “samurai spirit.”) Individual martial artists were figures who actually received some deference in local politics and they were expected to behave in certain ways. In fact they could be community leaders on a wide range of issues within civil society. I hadn’t known that this was the case in Japan in the 1920s, and it certainly presents an interesting contrast with the situation in China where martial arts teachers were viewed with suspicion and were frequently shaken-down by the police. Another way in which Kisshomaru expanded his circle of resources was simply by interviewing women. Some of his best material on his father’s early life and motivations came from talking with his aunts. While reading these accounts I was struck by how often female voices are not just figuratively, but literally, silenced in the writing of Chinese martial history. Not only are the sorts of issues that affect women and children often neglected in our rush to verify who won how many challenge matches in the village marketplace, but we often forget that there may have been actual female witnesses to these events in the first place. In a certain sense this is easy to do as Chinese society in general, and the realm of martial culture in particular, was extremely patriarchal. It presented a picture of itself in which Chinese women were simply absent, or were included only as an accessory to some well-known hero-tale. Don’t believe me? Here is an exercise that you might find amusing. Take a copy of Heroes of the Water Margin (pretty much the Old Testament of Chinese Martial culture), read it, and every time you come across a female character write her name down. Then record how she is viewed. Is she a positive character or a negative one? Is she loyal or treacherous? Is she competent or a liability? I think you will be surprised by how few female characters there actually are, and the fact that the good ones can all be counted on one hand. Has this changed? Well…it is starting to. But if you sit down and do the same exercise with Kung Fu movies made in the 1970s or 1980s you will have a strikingly similar list. 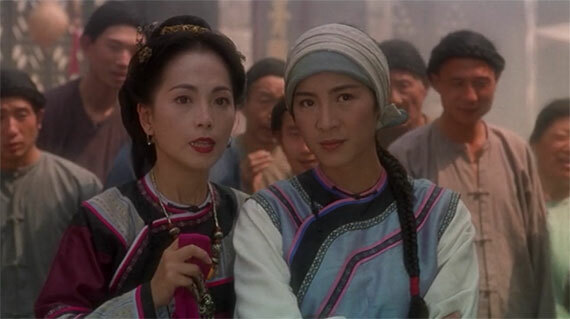 Yuen Woo Ping’s 1994 movie “Wing Chun” is notable for its comical, yet nuanced, discussion of the role of gender and social expectations in the Chinese martial arts. Of course these trends are not unique to the martial arts world; they reflect a broader social pattern of social organization. These tendencies were clearly more exaggerated in the early part of the 19th century. Occasionally I run across a historical account where only male children are listed as being members of a family, and its only months later that I learn that the boxing master also had two daughters, or maybe a sister that he remained close to. The problem is that when we write these family and community members out of the story they do not get interviewed. When no one interviews them a valuable source of historical data is lost. Now, while this is all very understandable from the perspective of the world of “rivers and lakes,” scholars need to be able to step out of that cultural framework when writing up their observations. Many of us are “participant observers” to be sure, but we need to be able to hold multiple sets of cultural values in tension simultaneously.